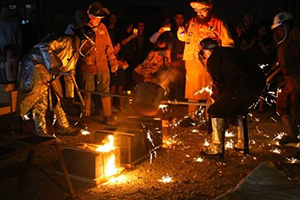 Lamar University's Department of Art will host an iron pour workshop and fundraiser in conjunction with the Texas Atomic Iron Commission on May 1-2. 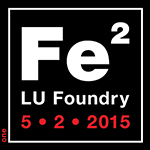 Festivities on Saturday, May 2, begin with a workshop and demonstration at noon in the Department of Art. Guests will have the opportunity to purchase a star or heart-shaped mold and carve their own design for use in the iron pour. After the iron is poured, it cools for about 20 minutes before the molds will be opened to reveal the new sculptures. Molds are $20 each (cash or check only), and participants will be able to take them and their sculpture home after the pour. T-shirts commemorating the event will be available for $20 each. To reserve a star mold, email Kim Steinhagen at kim.steinhagen@lamar.edu. For more information, call the Department of Art at 409-880-8141 or visit lamar.edu/art. To reserve a star or heart mold, email Kim Steinhagen at kim.steinhagen@lamar.edu.